Ralph Meloon Turns 100 Years Old! 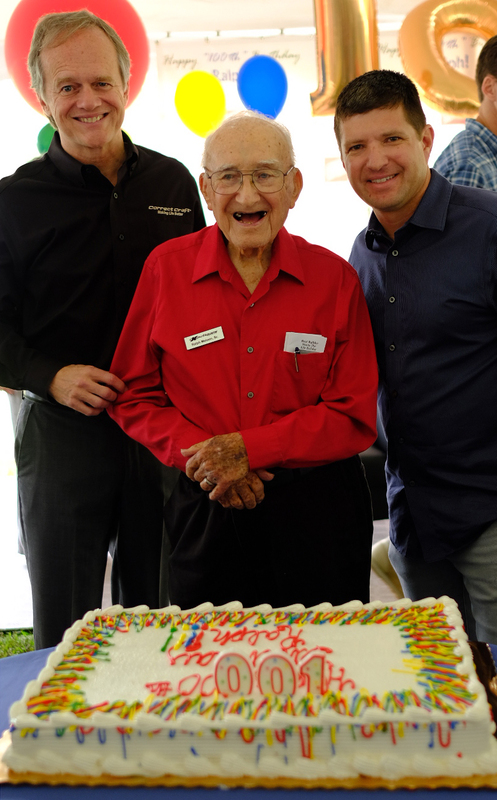 Orlando, FL (November 10, 2017) - Today employees at Correct Craft and Nautique Boat Company, along with family and friends, celebrated the 100thbirthday of Ralph C. Meloon, son of Correct Craft founder Walter C. Meloon. “Mr. Ralph”, as he’s endearingly referred to by employees, is a 2013 NMMA Hall of Fame inductee and a 2017 Water Ski Hall of Fame Special Lifetime Tribute recipient. Ralph held many positions at Correct Craft over the years including President, Executive Vice President, Treasurer, and Chairman of the Board for over 25 years. Under Ralph’s leadership, the company evolved into an innovative leader in the waterski and wakesports industry. Ralph has traveled the globe helping to build Correct Craft and Nautique into premier brands for water ski and wakeboard enthusiasts worldwide. He has visited 85 different nations through the years and was instrumental in selling boats to water ski federations in numerous countries and attending international water ski tournaments. 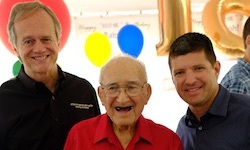 Even at his centennial birthday, Ralph continues to be an important figure in the industry and currently serves as Correct Craft’s Chairman Emeritus. Happy Birthday Mr. Ralph! May you have many more and thank you for all you have and continue to do for the company and industry. Here's an interesting read by Bill Yeargin about the boating industry's need for future leaders like Ralph Meloon.